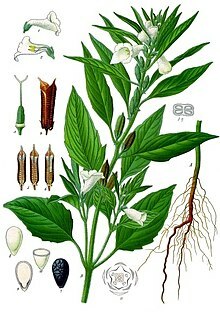 Sesame (Sesamum indicum) is a flouerin plant in the genus Sesamum. Numerous wild relatives occur in Africae an a smawer nummer in Indie. 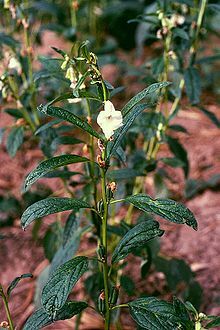 It is widely naituralised in tropical regions aroond the warld an is cultivated for its edible seeds, that growe in pods or "buns". This page wis last eeditit on 23 Dizember 2017, at 19:18.